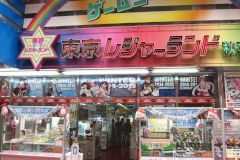 In December 2014, there were large pictures of the main characters from Love Live at the Tokyo Leisure Land game center. 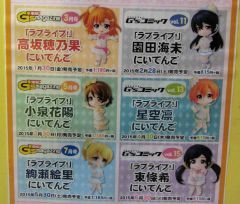 Gamers started taking reservations for the upcoming Dengeki G's magazine and Dengeki G's comic, which will come with Love Live niitengo figures. 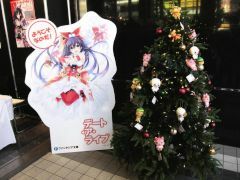 On December 6, there was a Fantasia Bunko Daikanshasai event at Bellesalle Akihabara. 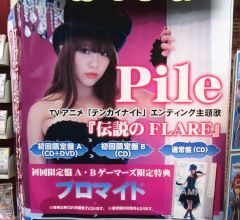 At the beginning of December 2014, there was a wall advertisement near the entrance of Gamers for the debut single by Pile. At the end of November and the beginning of December, there were advertisements for Dash X Bunko in various places in Akihabara. 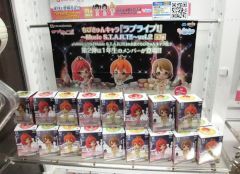 There were many new ufo catcher items for Love Live that were available in November 2014. 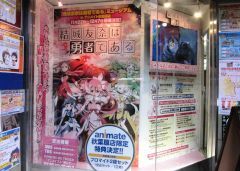 Between November 22 and December 7, there was a museum for the TV anime Yuuki Yuuna ha Yuusha de aru in the basement of Animate. 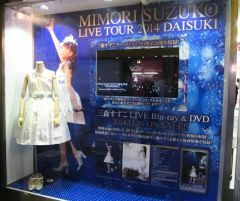 Mimori Suzuko "Live Tour 2014 Daisuki"
At Gamers, there was a store front window display for the concert bluray by Mimori Suzuko.